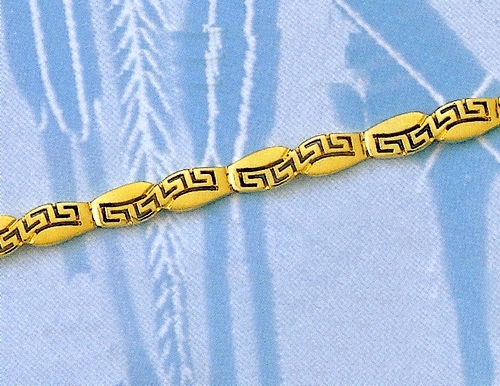 The Meander (aka "greek key") symbolizes the eternal flow of things. It is the symbol of eternal life, eternal love and eternal friendship. The bracelet can be made in any desired length (shorter or longer). It comes with a written authenticity guarantee in a beautiful jewelry gift box. There are hundreds of additional designs available. Please contact us if you are looking for something specific. Your name will appear next to your review or comment, visible to everyone. We (Hellenic-art.com) also save your IP address as a security precaution, but in can only be viewed by our staff. It will remain in our system until you withdraw your consent. If you’d like to have your personal data removed, send an email to info@hellenic-art.com. Analytical cookies help us to better craft the user experience based on your page view experiences.